MRE Star lemonade drink mix gives you a taste of one of America’s favorite drinks. It is packed under very strict quality control measures as laid out by the HACCP regulations. 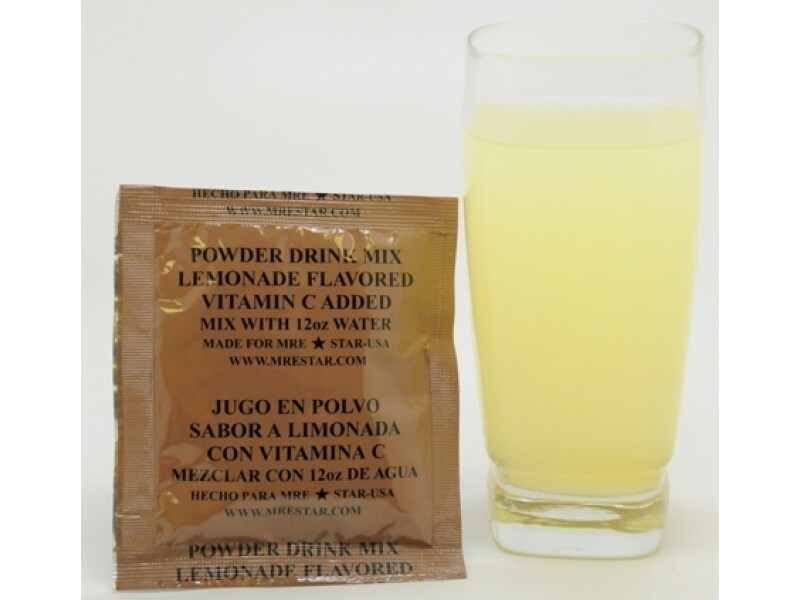 In addition, these MRE lemonade mixed drinks are FDA, FSIS and USDA approved. Yes! We take pride in the fact that they meet the highest food industry standards. One of the good things about these sachets is that just one is perfect for a 12 oz bottle of water. In an emergency situation, where one needs to gain energy quickly, they make the perfect solution. This is a great package to take with you when you go camping, hiking or fishing. You can also include it in your stash of disaster and emergency plan foods.